The Financial Industry Regulatory Authority (FINRA) was created in July 2007 when the National Association of Securities Dealers (NASD) merged with the self-regulatory functions of the New York Stock Exchange (NYSE). FINRA administers a lengthy list of exams that are among the most important credentials for people holding key positions in member firms. For some jobs, it may be necessary to hold multiple certifications by passing multiple exams. For most FINRA certifications, re-testing every few years is necessary, to demonstrate that you have kept up with developments in the industry. You cannot take FINRA tests as an individual. Instead, you must be sponsored by a FINRA member firm. Thus, your employer will determine what tests you need to pass depending on your job. Training for FINRA tests normally is through self-study, although some employers may offer in-house prep classes. Per the above, attempting to change employers and move into a new job for which you do not already have the necessary FINRA certification can be problematic. Your new firm would, in effect, be hiring you on a contingent basis. You, meanwhile, will be in a potentially difficult spot if you do not pass the test. Series 7: The Series 7 General Securities Representative qualification is perhaps the best known, mandatory for Financial Advisors and certain other sales positions. Series 6: The Series 6 qualification allows the holder to transact business in a much more limited set of investment products than Series 7. These are essentially limited to packaged investment products such as mutual funds and variable annuities. 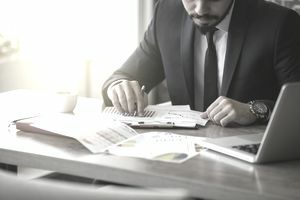 Series 63 and 66: The Series 63 and Series 66 exams cover state securities regulations, and also may be necessary for most Financial Advisor positions. Series 65: Series 65 is the Uniform Investment Adviser Law Exam which qualifies the holder to be an investment advisor representative. Note that, while the Series 63, 65 and 66 exams are administered by FINRA, they are prepared by a separate organization, the North American Securities Administrators Association (NASAA). Also, unlike most FINRA tests, you do not need to be sponsored by a FINRA member firm to take the Series 63, 65 or 66. Many states accept various other qualifications, most notably the CFP or the CFA, in lieu of passing the Series 65 or 66 exams.